Since 2006, the Nova Jazz Quartet has been bringing their unique blend of Bebop and Bossa Nova to the Bay Area. 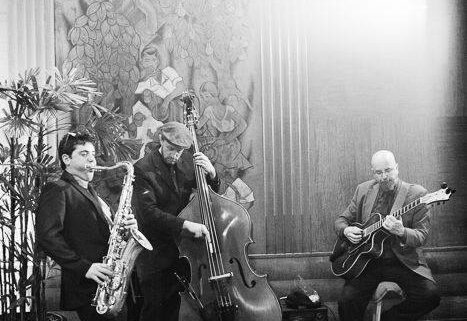 Performing original music as well as choice standards from luminaries such as Thelonious Monk and Horace Silver, the Nova Jazz Quartet is performing at the top of their game and is not to be missed. Coming off the release of their self titled album recorded in early 2018, the NJQ will appease both the casual listener and jazz aficionados alike. Come listen and stay a while.